Viggo Mortensen is clearly a talented and intelligent dude. 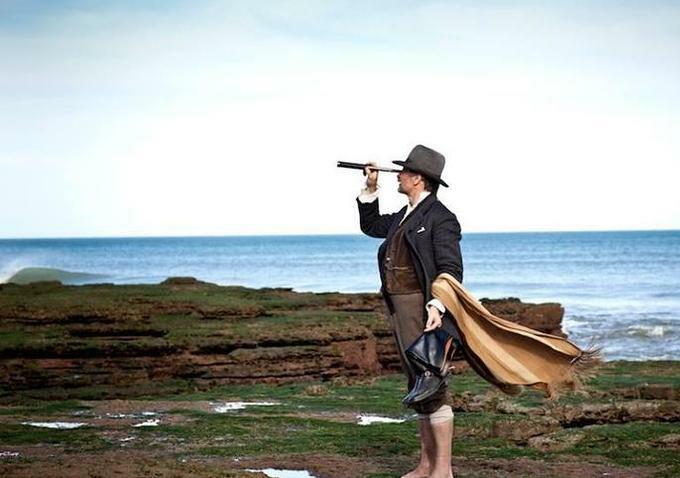 Just to reinforce the fact, he stars in Jauja (2014) his first Danish speaking role. The experimental film has hints of the western about it, as Mortensen plays a man against the elements, far from his home country. 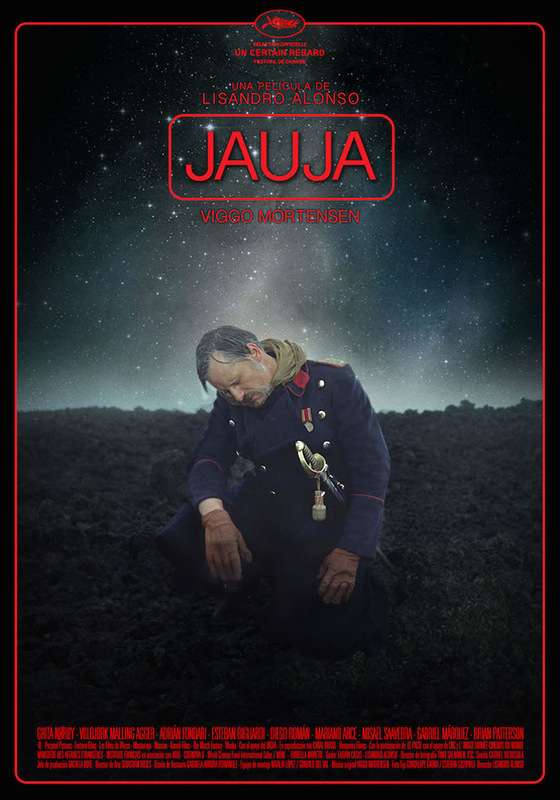 The first aspect of Jauja that strikes you is literally its aspect – the film is projected in 4:3, with rounded edges reminiscent of the TV your grandparents used to own. Over the early period of the film, the next aspect you notice is another visual conceit. The camera does not move. Well at least for the first half of the film, even to the point of action occurring off-screen. This is actually utilised in a playful manner by director Lisandro Alonso. It emphasises the movement of the characters through the space of the frame and also focuses the eye on the interaction between character and landscape. The early parts of the film features incredibly expansive scenery, massive cliffs, the ocean, pastureland and rugged desert-like scapes so it is a delight to see how the characters move on these canvasses. The action is generally just two people talking, so much so that it feels like something you would see on the stage. Which makes for quite the contrast with these scenes taking place in such wide and expansive locales. During the second half of the film, the camera begins to move which is quite jarring after growing fond of the use of the static camera. Furthermore, it seems so unnecessary to move the camera a little, as happens regularly through the second half and it is hard to see what is gained by moving away from the stylistic conceit that had really set the film apart. This review is all backwards to my normal structure, starting with the technical rather than a quick story breakdown. That speaks to the focus of the film, which is really not on narrative. Men wander the space of an expansive land that is clearly not their own. One the men’s daughter goes missing. He goes and looks for her. That is about it really. The minimalist plot and focus on the twisting, at times befuddling, slow journey along the road is reminiscent of arthouse filmmakers past. The Taviani Brothers were the ones that kept being suggested in my mind. The shooting grade, appearance of colour and similar men in uniform of Allonsanfan (1974) is definitely a kindred spirit to this film, even if there is a bit of a lighter touch in the older film. The glacial pace both helps and hurts the film. Through the early section, when the camera remains stationary and the imagery expansive, it allows more time to drink in all the detail. When the ‘chase’ sequence occurs though, it all feels too slow and too pointless. A more modern, obvious parallel that I was keen to avoid making, is with Terrence Malick. But that parallel is definitely a valid one. The two directors share a reflective sensibility that not many filmmakers have. A point of difference though is that Alonso occasionally employs a harsh kineticism that Malick would shy away from – Mortensen fiercely sheathing his sword just one example. Related beermovie.net articles for you to check out: CIFF 2014: The Congress and CIFF 2014: We Come as Friends. Not sure I feel comfortable saying half of it is bad. I just didn’t enjoy it anywhere near as much as the first half which I loved.